I am a creative designer with passion for making meaningful products that bring complete joy to the person who receives them. I love to design beautiful items that make people feel good when looking at them. It's as simple as that. Whether it's encouraging words or a beautiful custom wedding suite, my heart is poured into every single item that I create. I started my business in 2010 as a wedding planner and after six years of planning weddings and doing design as well, I have closed the doors to the planning part of my business to focus completely on the design side of it. I never would have thought this would be where I am now (I graduated from college with an Elementary Education degree! ), but God has planted this seed in my heart to become who I am now, and with a whole lot of faith and trust in the unknown as to where He would lead my business, that seed has grown tremendously into what you see now. He is my guidance throughout everything I do. I am also a wife and a mom - I am married to an amazing husband and we have three wonderful kiddos - my sweetheart of an 18 year old stepson and two littles - my spitfire smart princess of a four year old, and one handsome cutie of a 14 month old son. These people are my world and I am a better person for going through life with them in it. Wedding invitations mean so much more to me than a pretty piece of paper. 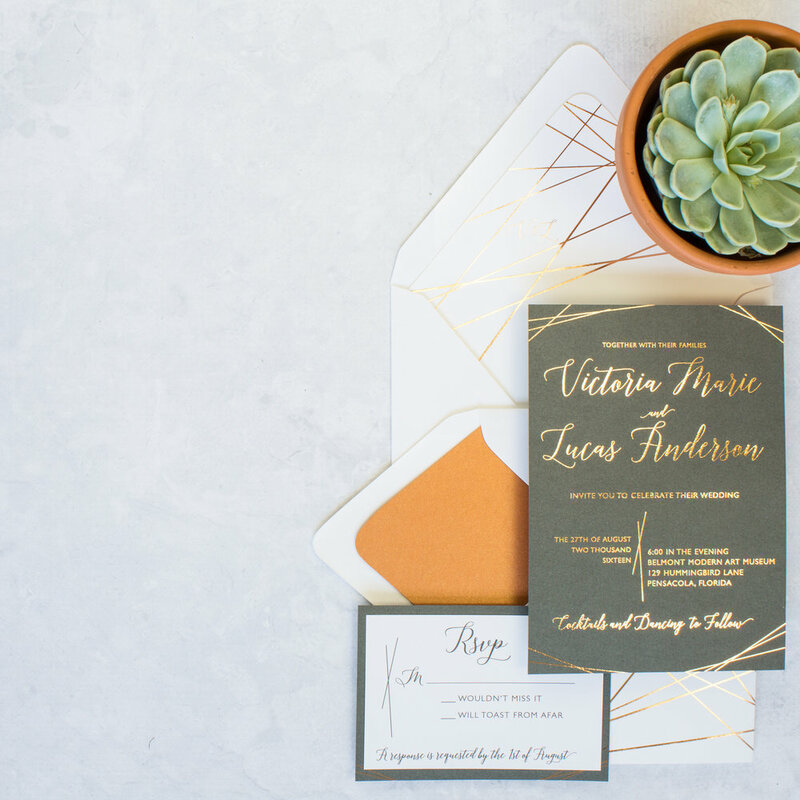 Yes, they are the first peek at your wedding will be, but more importantly, your wedding invitation is the piece of paper signifying that first step you will take together as husband and wife, the first day that begins your marriage together. The ceremony is where you look into your forever sweetheart's eyes and say "I Do", and your invitation is the one item from your wedding day that symbolizes where you make the commitment to share your entire life with one person. I hope that when you look at your invitation, however many years later it may be, that it brings you back to that time, possibly to that minute, that you walked towards them, eyes sparkling, excited to discover what the future for the two of you will hold. My desire with every collection that I design is that you will love it as much as your wedding dress, and it will be something you look forward to showing your daughter and granddaughter in the years that follow. For my entire life, words that have danced on a page to stir something in your heart have meant something to me. 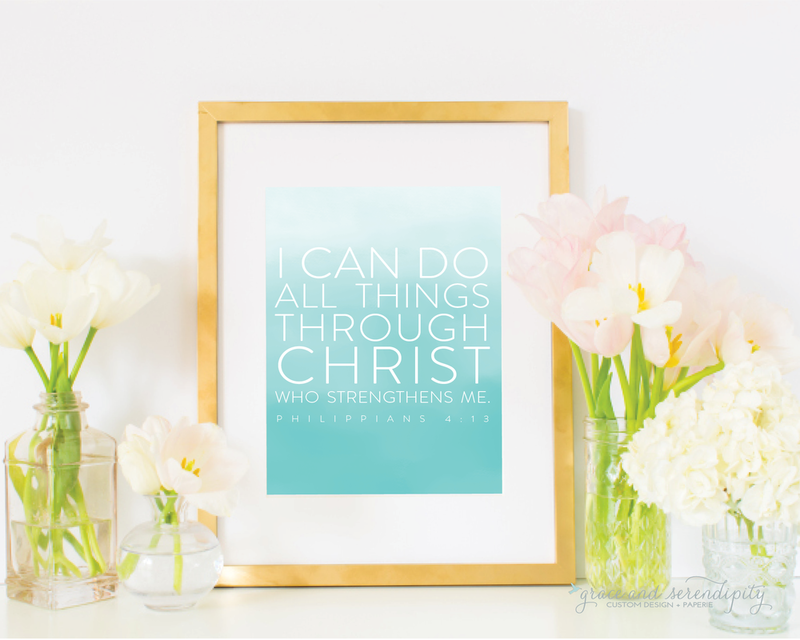 Whether it's words from a bible verse that makes you stop in your tracks or lyrics that make you play a song on repeat over and over again, every single item that I create is designed to encourage you or for you to give to someone to encourage them. 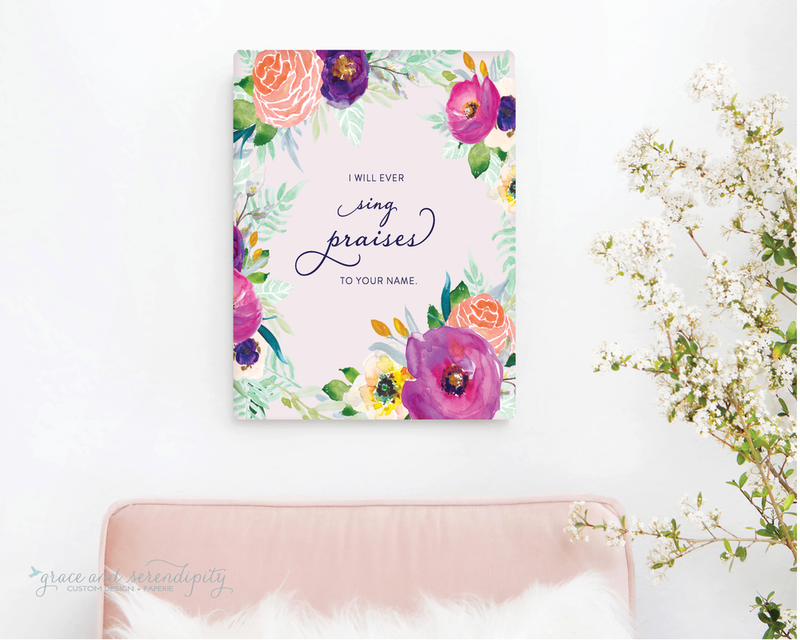 I design these items because sometimes, all you need is that additional sprinkle of fairy dust, that additional cheerleader behind the scenes telling you "you got this" to tackle your next big idea, or that gently reminds you to spend time with the Lord. Every product I create has been because God has placed it on my heart to do so, He has given me this gift to share with others, and I design to bring glory to Him, always.